The gentry were often praised for their wide knowledge, and in particular for their education and their knowledge of the law. But we know little about how Welsh people were educated in the fifteenth century. Reading in the patrons’ homes is sometimes mentioned, and it seems that literacy was an important part of their culture. 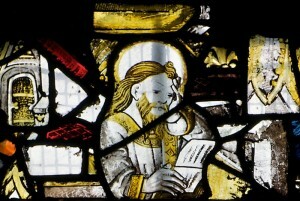 Since eight of the ‘twenty-four feats’ were related to learning and knowledge, namely poetry, playing and tuning a harp, reading Welsh, heraldry and drawing coats of arms, singing a cywydd poem with music and singing a cywydd of four and accenting, we may assume that this was the kind of knowledge that gentlemen were expected to learn and that they would receive education in such things at some point in their lives.